Grave VR is a single-player, surrealist, virtual reality horror experience where light is your only tool for survival. Designed specifically from the ground up for intuitive motion controls, Grave VR presents a unique chance to feel the white-knuckle tension of being inside your worst nightmare. Psychological horror - You're the weakest creature in the world of Grave, and must use every resource at your disposal in order to survive the night. No Conventional Weapons - Light is your only protection against creatures that feed off the night. Intuitive controls - Designed from the ground up for motion controls. Pull a match from the box and strike it as if it existed in real life, reach to your belt and grab a flashlight or pull the pin on a flashbang; you'll forget that it's not real. Highly Interactive Environments - Not your typical VR horror experience. Navigate the environment using an intuitive node-based traversal system to discover hidden locations and extra resources. Use the Environment as a Weapon - From burnable foliage to powered generators. I’m Josh Turner aka Deaths Crowbar and I am the new Community Manager at Broken Window Studios. I was hired to help care for and inform our community. Grave VR will be getting an update soon. This will include a bunch of new features and content. Expect the update in the coming weeks. I know that some of you who purchased the game had questions or concerns and we value the input we receive from the community. We want to apologize for the lack of updates and say that we are working to correct that, which is why you'll be getting a whole new set of playable content totally free of charge, as well as added features including steam achievements and trading cards. We have a new video available on our Youtube. We will also be having a Developer update series soon that will come out in five parts on our social media. This will include information on what it has taken trying to get a game from Kickstarter to Market as a small indie team. We are currently targeting a release in 2019 but will be more specific as it gets closer. We are exploring development for the Switch, but will have more to say about that later. If you are wondering about why we have had so few updates I have an answer for you. We are a really small team that has been self-funding for the bulk of our development, with very little in the way of manpower and resources to get everything done. We have had to take on contract work and other side projects to fund our development and pay for a lot of the work that is needed, and it's honestly been really hard for us a lot of times to keep up with everything. We have brought on Josh to help us out with the outreach and allow us to stay focused on development without losing track of the community or updates. 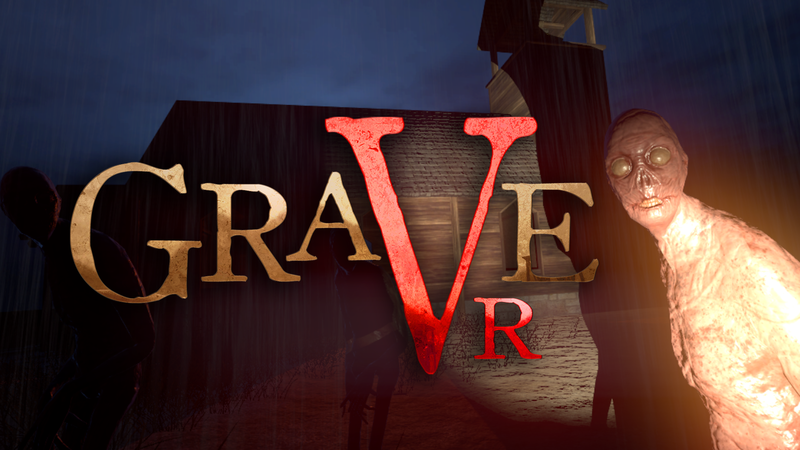 Grave VR is coming to HTC Vive October 25th! We will be releasing Grave VR, a prequel to Grave, as a VR-focused title launching on Steam and HTC Vive October 25th, in time for Halloween! Awesome! I'm glad you like the look! We'll be on Steam October 25th! We have an exciting announcement next week we will be having developer update videos all week followed by a giveaway!